Nokia has confirmed its presence at the upcoming Mobile World Congress 2014 event, which is scheduled from 24 to 27 February in Barcelona. The Finnish firm has dropped an invitation for a press conference to be held on February 24, at 0730 (GMT). Just what does Nokia have in store for its MWC 2014 event? A range of handsets have been rumoured since November last year, out of which, we expect most of them to show up at the event. In total, six Nokia handsets are rumoured to get revealed at the event, including a few large-screen smartphones, or phablets. Back in November 2013, @evleaks mentioned two handsets with codename "Goldfinger" and "Moneypenny", which would run on the not-yet-officially-announced Windows Phone 8.1 OS or Windows Phone Blue. Along with these two expected handsets, rumours about four other devices have emerged, two of which are mostly the variants of the current flagship handset, the Lumia 1520. The rumoured Nokia Lumia 1820 is said to be the company's next flagship. The Nokia Lumia 1820 is said to feature a full metal unibody build. A tipster suggests the alleged Lumia 1820 would feature a Lytro-style camera, which will allow users to refocus images even after they are clicked. Other rumoured specifications for the handset include a Qualcomm Snapdragon 805 processor paired with 3GB of RAM, and 5.2-inch screen sporting a 2K pixel resolution. The handset is expected to be backed by a 3400mAh battery alongside a 32GB expandable storage. On the other hand, the proposed Nokia Lumia 1525 will share the same screen size as Lumia 1520, but will apparently share the same specifications as the Lumia 1820. It is said to feature a 6-inch 2K display, and get a revamped rear camera with either 25 or 30-megapixel sensor, according to @NextLeaks. Rather incredibly, the Lumia 1525 is also expected to sport a battery that can be powered via a solar charging display, something we'll definitely have to see to believe. The Nokia Lumia 1520V, is rumoured to be the smaller version of flagship Lumia 1520 phablet. While Lumia 1520 features a 6-inch screen size with full-HD resolution, the rumoured Lumia 1520V will apparently stuff in the same 1080p resolution in a 4.3-inch screen. Other features said to be shared by the handset are 2GB of RAM, 32GB of inbuilt storage and a quad-core Snapdragon 800 processor. 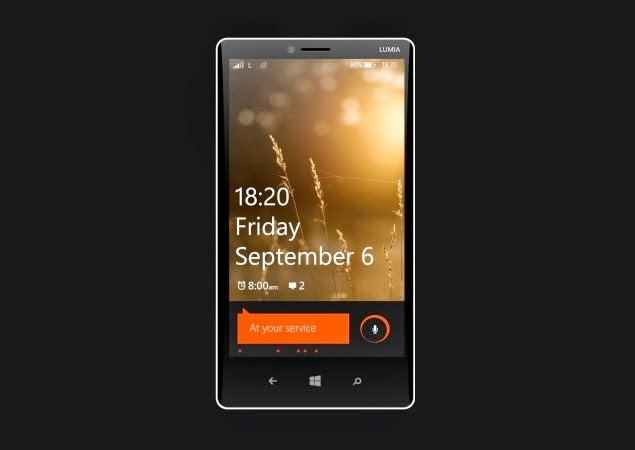 The Windows Phone 8.1-based Lumia 1520V is also expected to boast of a 14-megapixel camera alongside a 3000mAh battery. Lastly, the most-anticipated handset, the rumoured first Nokia budget Android phone, Project Normandy or Nokia X, is expected to be launched at MWC 2014. The handset is said to come with a custom Android UI. The leaked home screen panel of the Nokia X also includes the BBM app which points that the device is running an Android version, though, no word on the alleged Android version as of now. Since, none of the above handsets have been confirmed by the firm, one can only wait till MWC 2014 to see what Nokia has in store for its users.